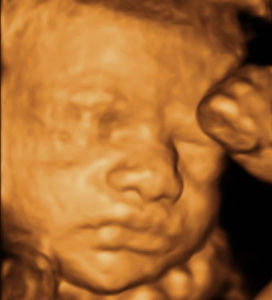 See your baby in real time with realistic 4D ultrasound, the most accurate imaging possible of your baby’s appearance. 3D baby ultrasound and 4D ultrasound are not only beneficial in diagnosis, but also popular for parents to bond with their baby during pregnancy. 3D ultrasound images of your baby can be clinically useful to diagnose certain fetal anomalies such as cleft lip and limb abnormalities. During routine scanning, 3D images are used as an adjunct to regular 2D images. 4D scanning is 3D scanning in real-time and gives an indication of changes with time. 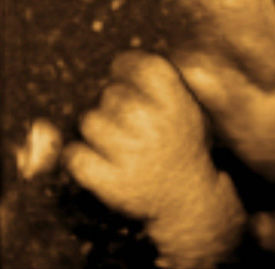 Most parents now prefer 3D/4D ultrasound as it enables them to have a better look at their baby. Some parents believe that this makes the experience seem more ‘real’ or they are simply able to connect with the appearance of their baby. When is 2D ultrasound recommended instead of 3D/4D ultrasound? 2D ultrasound is still used for the preliminary examination of your pelvis and fetus. 2D imaging is also used during nuchal translucency testing and other routine examinations. 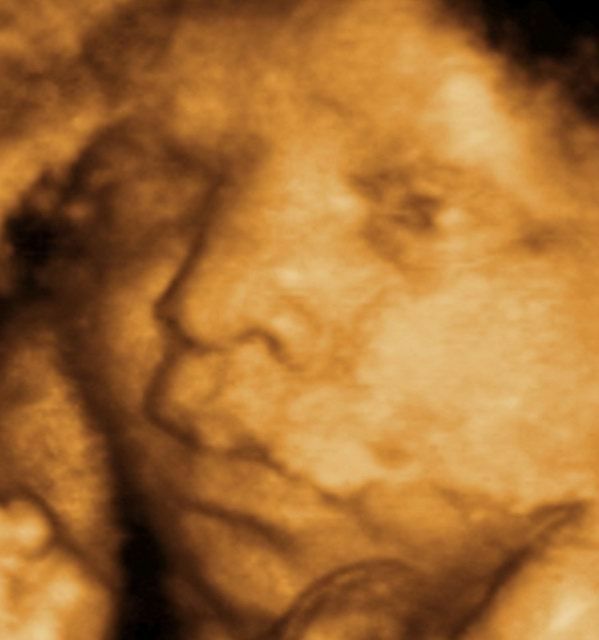 The main point of 3D/4D ultrasound imaging is to give the parents a more realistic image of their child. 3D/4D imaging can also be used in gynaecological scans to give your specialist a greater view of the uterus and ovaries. In some cases perspectives that are not achievable through 2D ultrasound can be achieved. When should a 3D/4D ultrasound be performed? The best time for this scan is at the 26-33 week mark. A 2D ultrasound is a black and white image of your fetus, created using ultrasonic sound waves which are sent back to the transducer. The way sound travels creates the image of your baby, and this works the same in 3D/4D imaging however the ultrasonic soundwaves will be communicated back to the transducer on an angle. What is the difference between 3D and 4D imaging? 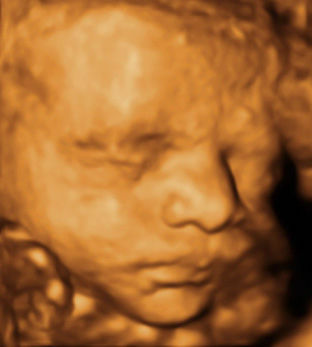 The added dimension in 4D is time, meaning that you can see your baby in real-time unlike 3D and 2D imaging. At the Centre for Women’s Ultrasound our state of the art ultrasound machines have the capability to perform 3D and 4D ultrasound and our staff are specially trained in these techniques. We understand that pregnant mothers find the 3D images of their baby especially helpful to promote bonding during the pregnancy. 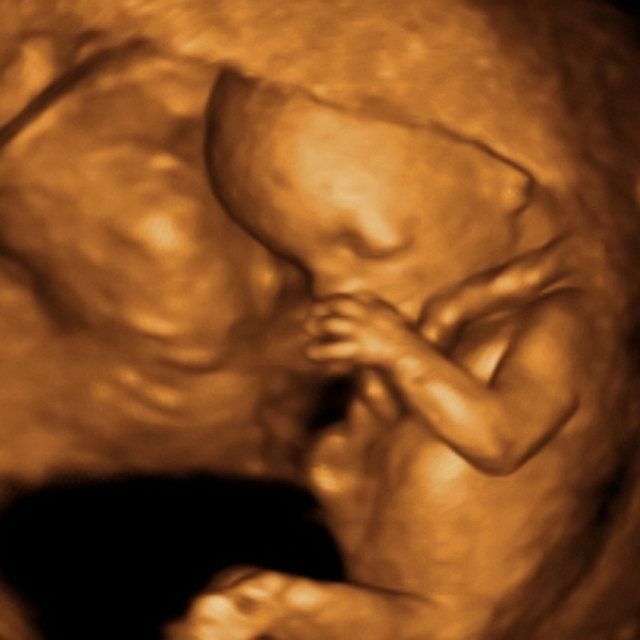 The staff at Centre for Women’s Ultrasound are more than happy to provide 3D/4D images of your baby at most stages of the pregnancy during a clinically indicated scan or at your request. To book an ultrasound with a specialist at the Centre for Women's Ultrasound in Sydney, near Westmead, Parramatta or Hills district, please contact us here.